The Magic Kingdom: Check Out These Awesome Things To Do & See! 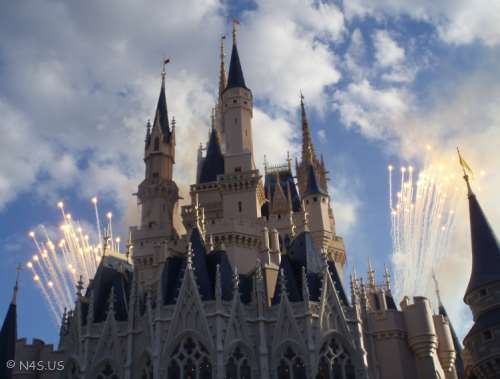 The Magic Kingdom at Walt Disney World is one of most popular destinations in the world. And for good reason – there are so many wonderful things to do and see! We’ll be looking at different Disney World parks all week long this week – so watch for additional links at the end of this article. A new one will be added each day for the next 5 days! When people think of Disney World, the first thought in their mind is usually the Magic Kingdom and its showcase – Cinderella’s castle. This park tends to have more fantasy-themed rides and attractions that catch the attention of kids. Kids and adults looking for some relaxing rides can enjoy the Astro Orbiter, Buzz Lightyear’s Space Ranger Spin, the iconic Dumbo ride, Haunted Mansion, It’s a Small World, the Jungle Cruise, The Magic Carpets of Aladdin, The Many Adventures of Winnie the Pooh, Peter Pan’s Flight, Pirates of the Caribbean, and the Tomorrowland Transit Authority PeopleMover, The Journey of the Little Mermaid, and the Railroad. If you or your kids are in more of a thrill-seeking mood, then the Magic Kingdom has a few options for you. Space Mountain is a classic, and one of the most popular attractions in theme park history. Big Thunder Mountain Railroad and Splash Mountain bring some faster-paced thrills and round out the older rides at the park. Notable non-ride attractions include the Country Bear Jamboree, the stunning Main Street electric light parade where floats light up the night sky with music playing in the background. It’s an attraction that is sure to please kids and bring out the kid inside all of the adults there. Main Street also features the Dapper Dans – a barbershop quartet that sings a variety of public domain songs and tells Vaudeville-style jokes. Main Street as a whole is made out to be as old tyme as possible, but can be a way to give kids a look into how the world used to be in a way they understand that simply looking up some information online can’t replicate. The Magic Kingdom is split into a variety of sections with various themes to them. Some of them contain rides, whiles other don’t. Adventureland is crafted to resembled jungles and foreign lands, while Frontierland is given an old west theme and features the Country Bear Jamboree, Splash Mountain, and Big Thunder Mountain Railroad. Liberty Square goes for a colonial town theme, and features The Haunted Mansion and Hall of Presidents, allowing for a mix of fun and education. Fantasyland is in a medieval/carnival style and features many classic attractions like “It’s a Small World”, which is a perfect introductory ride and features a well-known song that will drive pretty much anyone over the age of 10 into madness after hearing it a billion times during the ride itself! Fantasyland also features the Mad Tea Party – also known as the tea cup ride, where you and another person sit in a giant cup, spin around a bit and gaze at the brightly-color lanterns and other decorations around the ride. If you’ve got issues with motion sickness, you’ll want to avoid this ride, but it’s fairly fun if you don’t suffer from them. For those into the idea of a retro-looking future, there’s Tomorrowland. This area houses Space Mountain, the Astro Orbiter, and the Michael Jackson mini-movie Captain EO – which was brought back after a long absence. Beyond rides and attractions, there are also dozens of eateries in the Magic Kingdom covering a wide variety of food types – there’s even an ice cream parlor. If you’re in need of a haircut, you can get one on Main Street, while a salon inside Cinderella’s castle caters to turning young female guests into princesses. The Magic Kingdom is the crown jewel of Disney World. It’s a must see attraction! But there’s more to come… visit tomorrow for a look at the next park in this series: EPCOT! Be sure to Like, Tweet, G+ and PIN this page to pass it on to your friends! Also see: Epcot – Things To Do & See!